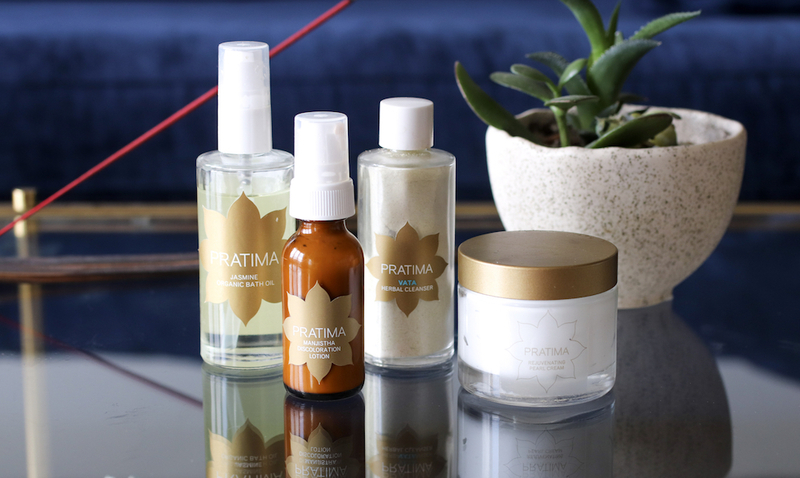 I’m continuing on my non-toxic beauty and spa venture (pregnancy priorities) and this month I had the pleasure of visiting Pratima Beauty and Spa. So ayurvedic beauty? I had to google it, don’t worry. In short it works on healing from the inside; balancing the whole body. It’s also believed to be important to know your Dosha. This helps you make choices to achieve optimal wellness for your mind, body and spirit. Head here to find your Dosha. 🙂 You may be a combination. As for the owner, Pratima; she is a chemist, botanist and just overall ridiculously impressive. 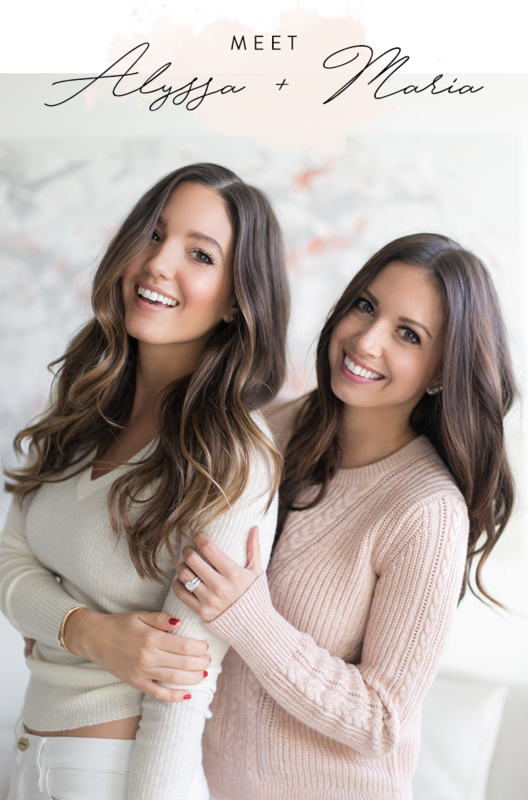 She has been creating natural skincare products using only the best natural ingredients for a long time. She knows that just mixing a few oils together doesn’t necessarily make it a great product. You need to know and really understand the science behind what goes together. 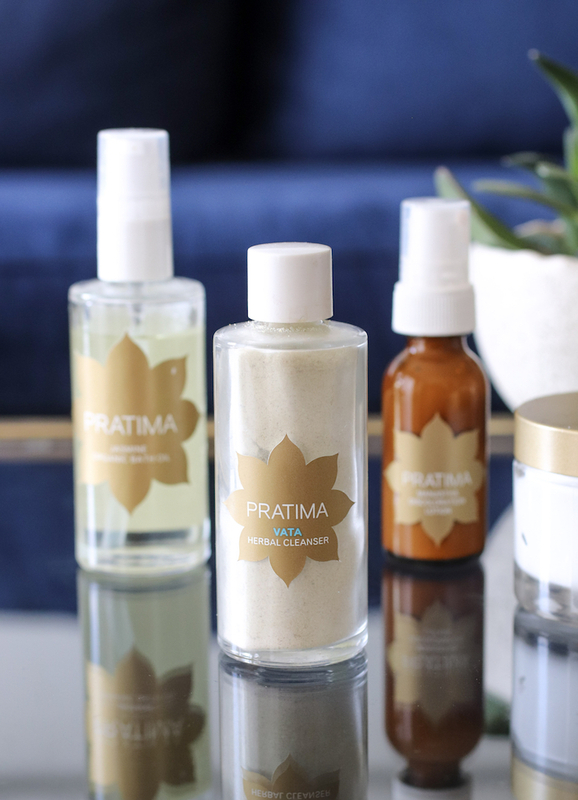 And with all these “natural” lines popping up, Pratima is a brand that I fully trust. I got the Kalyani Rejuvenating Facial with an extra 15 minute scalp massage (needed) and I have to say it was the most relaxing facial I have ever received. The esthetician was calm and quiet, only offering information when necessary to not interrupt your experience. Below is what I took away from my experience! This is based on my skin, which tends to be uneven and dry this winter (the baby is sucking all the moisture out of me). However, a lot of these points can be applied to anyone! Double Cleanse. This is a must do from any non-toxic spa I have been to. First cleanse with oil to pull out impurities and hydrate the skin, then follow with a gentle cleanser to ensure your skin is clean, moisturized and hydrated. Follow up with a toner. Simple rose water is a great option. If you have uneven skin tone you can use a discoloration location. Use a serum day and night. If needed, use a heavier moisturizing cream after your serum during your nightly routine. Facials are recommended once every month, which is when your skin naturally changes over. If your body is dry, massage an essential oil blend into your skin before you shower (especially if you take hot showers). This will help lock in moisture and protect your skin from over-drying.